Garvey is quiet, but he has an amazing singing voice. His friend encourages him to join choir, but his father wants him to be an athlete. Garvey feels a lot of criticism coming from his family about his weight, and about all the things he is not. Written in verse, his story is about figuring out who he wants to be. This is a short, simple book with beautiful writing. 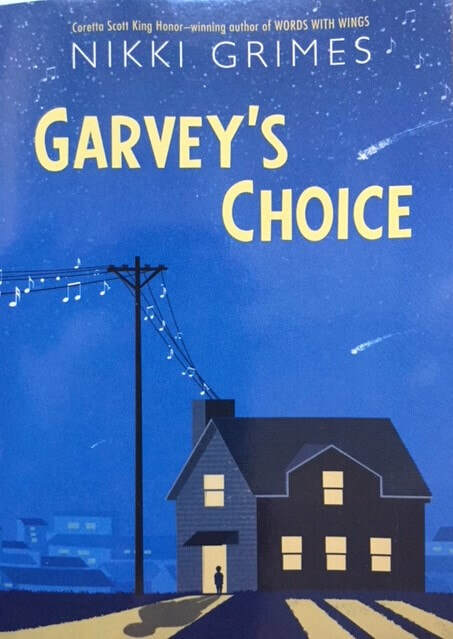 Readers can easily connect to Garvey's fears about not being good enough, and his relationship with his father is painful and powerful. at risk of slamming into."